It seems that Korean wave has hit Singapore with the opening of several Korean F&B concepts in Singapore. One of the latest craze besides Korean fried chicken is Chicken Galbi. Yoogane is originated from Busan, Korea. Currently it has 2 outlets in Singapore. It seems quite popular with the youngsters and long queues are always spotted snaking outside the restaurant. 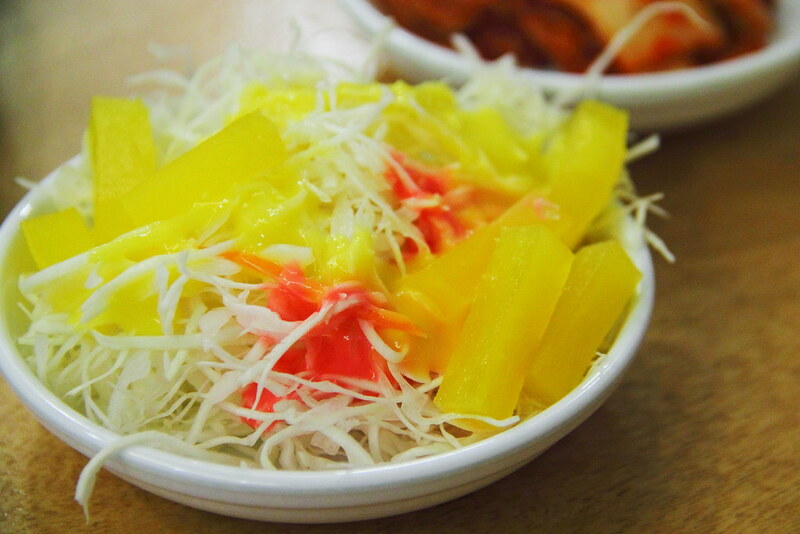 A bonus at Yoogane is that they provide complimentary starter such as Salad and Kimchi. 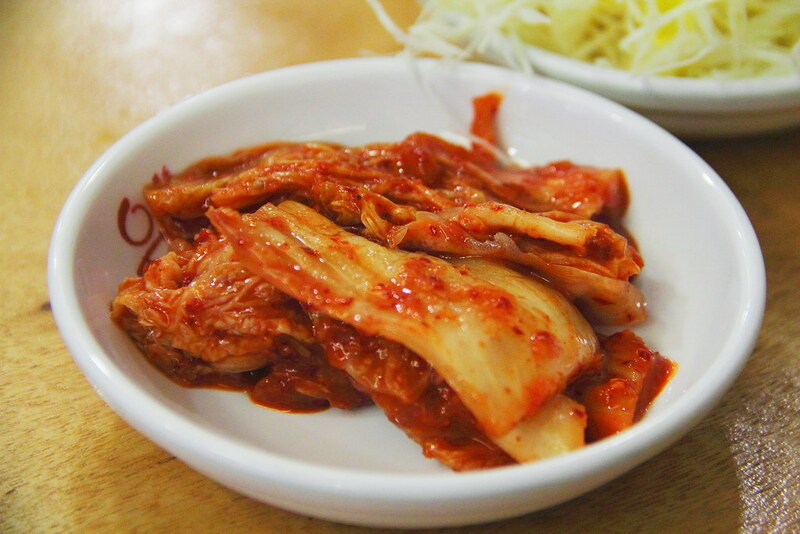 The kimchi is definitely a welcoming bonus not only to whet up the appetite but a delicious side dish to go with the mains. For the salad, it was miserable. Can give it a miss. We also ordered the Egg Roll to try. 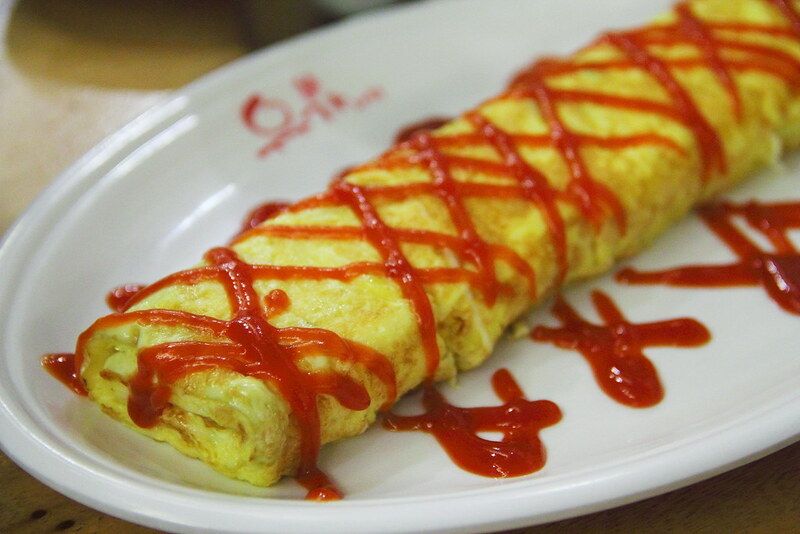 The egg roll topped with ketchup was simple and hearty with its fluffy interior. Yoogane offers eight different varieties of galbi on its menu. We decided to go try the Seafood and Chicken Galbi to have a bit of everything. 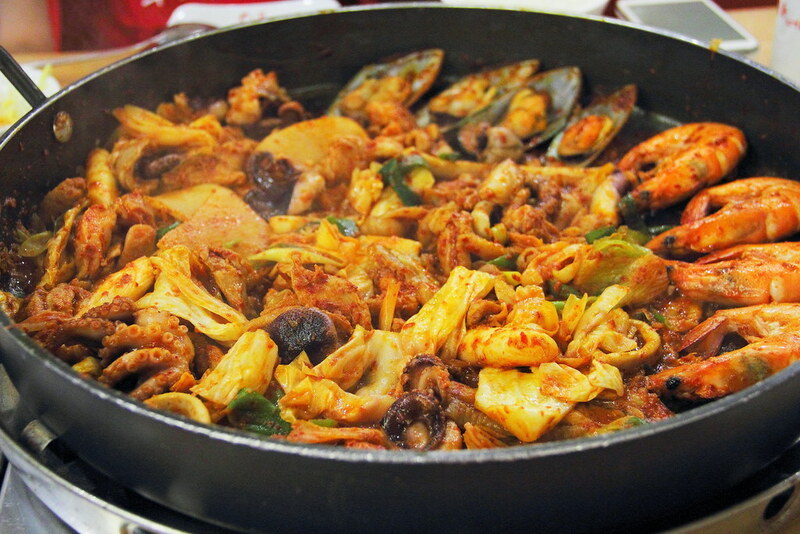 The whole pan or pot of raw ingredients is cooked at the table together with the unique spicy sauce by the server. 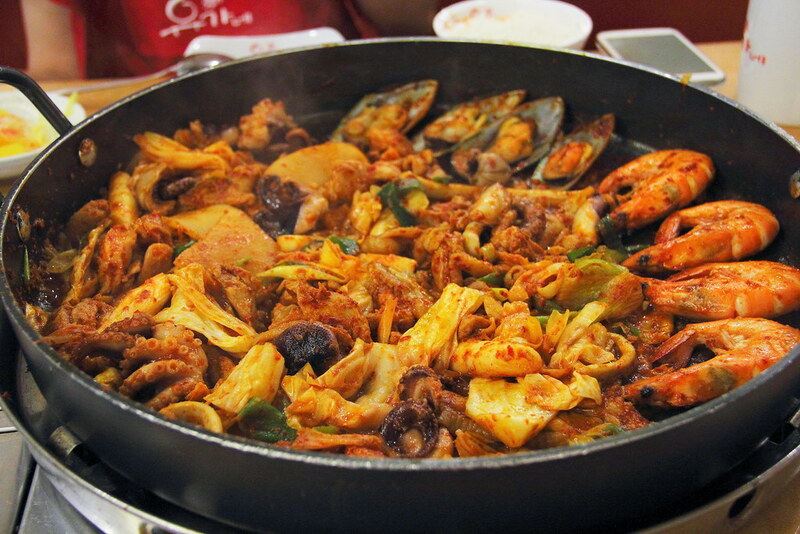 The huge portion comes with tender chicken meat, baby octopus, squids, prawns and a variety of seafood. I find the concept quite fun, and the portion is huge to be shared among 3-4 person. No wonder it is quite popular with the younger generation. What I don't like is the loud music in the background. Maybe it suit the younger generation but not me.